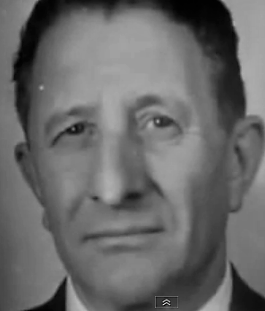 Carlo Gambino's takeover of the crime family rechristened in his name was contested primarily by Aniello Dellacroce and Armand Rava, staunch Anastasia supporters. 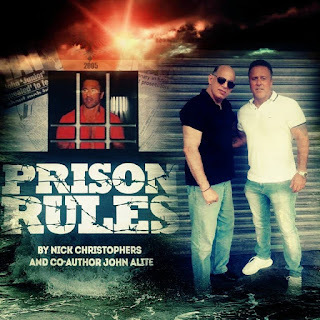 They had potential allies in men like Anthony “Tough Tony” Anastasio, the dead boss’s brother, a powerful mobster running Brooklyn’s docks, and Vincent James Squillante, a waste management kingpin, drug trafficker and experienced gunsel. once called the Mangano crime family. If an attempt were made on Carlo’s life, the order would've originated from, and perhaps also carried out, by those very men. Yet no attempt was ever made. Gambino ascended to the top of the crime family not without firing a shot, but by firing far fewer shots than "Mafia logic" would seem to precipitate. Carlo Gambino was one of the most effective Mafia bosses in the American Cosa Nostra. The FBI routinely referred to Gambino in various documents as the "boss of bosses" of the Mafia, though that title was made extinct in 1931 when New York's Five Families were formally designated. It wasn’t simply how Gambino had handled the killing of Albert Anastasia (a big deal in and of itself) but also the way he strategically assumed control of the crime family that clearly signalled that this particular Sicilian gangster was not an average boss. Gambino was exceptional in key ways, and it was during the crucial post-Anastasia timeframe -- when deadly tumult easily could’ve broken out -- that Gambino really showed what he was made of. Certain law enforcement officials noticed. This is where it gets interesting. For some reason Gambino went out of his way to save Dellacroce. Later the same year Anastasia was hit, Gambino attended Apalachin, supposedly held, in part, to address the new dynamic in New York. 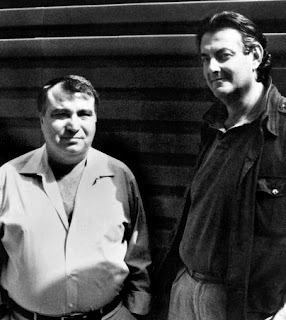 Vito Genovese, who initiated Gambino's usurpation of Anastasia and sent Frank Costello into retirement by ordering young gunsel Vincent Gigante to shoot him, called the meeting. He designated Chicago. Stefano Magaddino, however, convinced his cohorts that the tiny rural town of Apalachin was a better venue for entourages from the nation's 20-something crime families to converge and discuss business. “Armand “Tommy” Rava, one of the few Anastasia loyalists, was known to harbor enmity toward Carlo Gambino. After attending the Apalachin meeting in November 1957, Rava disappeared and was believed murdered,” an FBI report noted. In the vehicle that followed Gambino’s Lincoln was Joseph (Staten Island Joe) Riccobono, who -- as per FBI documents -- had been named consiglieri by Gambino, who'd quickly installed his administration. 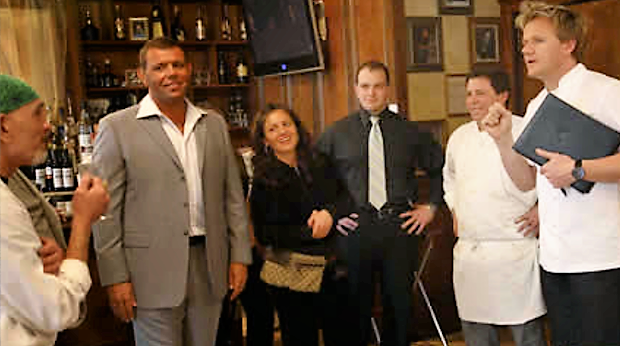 Joseph (Joe the Blond) Biondo was named Gambino underboss. So Dellacroce could not have been named underboss in 1957, as some report. Joe the Blond held that position well into the 1960s. Shortly after the disastrous Apalachin affair, Gambino invited Dellacroce to a sit-down. Salvatore Maranzano named Don Cheech, pictured, boss in 1930. What is accurate, as The New York Times noted, was that following the sit down: "All resistance to Mr. Gambino's leadership melted away." 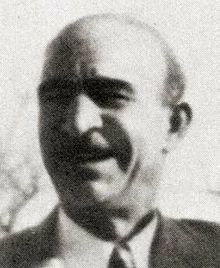 In another sign of Gambino’s management style, one not infected with the inherent paranoia so common among some mobsters, Gambino allowed Squillante to keep his position in the organization. 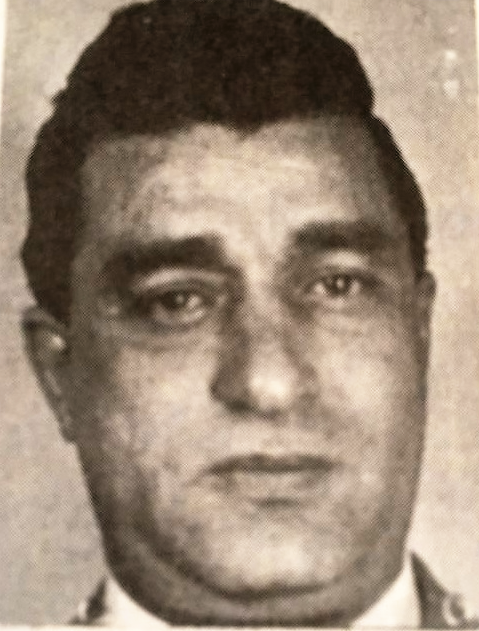 Informant Joe Valachi revealed that in 1957, months prior to his own slaying, Anastasia had ordered Squillante to kill the family's longtime underboss Frank Scalise, or Scalice, aka Don Cheech. 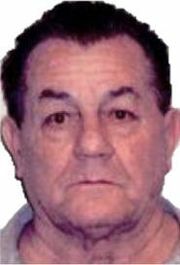 He'd briefly served as boss of what became the Mangano crime family. On June 17, 1957, as Scalice stood in front of a fruit store in the Bronx two gunmen shot him four times in his head and neck, killing him. The books, closed since the 1930s, were reopened in 1953. Don Cheech was an extremely active recruiter. Turns out, there was a very good reason for this. Scalice had been killed for selling memberships for as much as $50,000. "We were all stunned when the word got out," Valachi said. "None of that kind of stuff was ever pulled in the thirties. 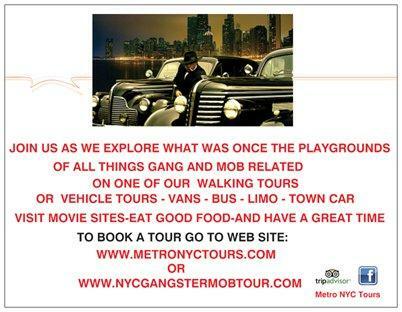 Frank Scalice was the one who started commercializing this thing of ours, and there are others doing it now, believe me.... Guys will pay because they want the recognition of being mobbed up" without having to prove themselves. By 1960, Squillante was doomed. He was indicted for extortion charges in the waste and sanitation industry. Squillante – as well as Bernard Adelstein and Nick Ratteni, his associates – were in the FBI’s crosshairs. The Feds got the goods to link Squillante and Adelstein, leader of Teamster 813, for running illicit operations on Long Island. A probe uncovered connections between high-ranking mobsters in other crime families as well. 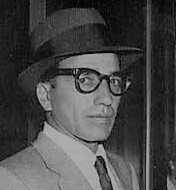 On September 30, 1960, Squillante disappeared. 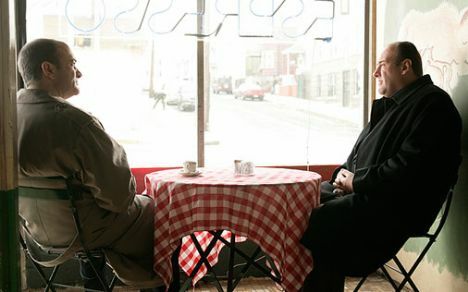 While some claim Squillante was killed over his ties to Anastasia (he was considered one of the Mad Hatter’s protégés), it seems more likely, based on the timing, that Gambino acted to head off what could’ve been a major Mafia trial. 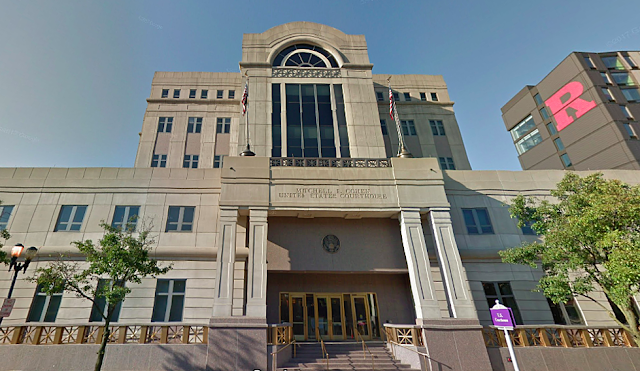 By taking Squillante out, Gambino eliminated the nightmare scenario of a bright media spotlight on a potentially huge Mafia trial with connections to several crime families. As another writer noted, “Anything is possible,” but Gambino wasn’t in a hurry to kill a lot of Anastasia holdovers if he could help it. 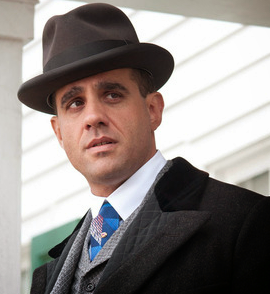 Perhaps the one man most bosses in Gambino's position would've taken out right after Anastasia was his brother, Tough Tony. Gambino likley would've assumed the powerful chief of the Brooklyn waterfront also represented some kind of a threat. Also Anastasia's brother had held back substantial sums of money from the new mob boss. Tough Tony remained in his position as officer of the International Longshoremen's Association (ILA) and Local 1814 in Red Hook. He wielded immense power because he effectively controlled the Brooklyn waterfront. 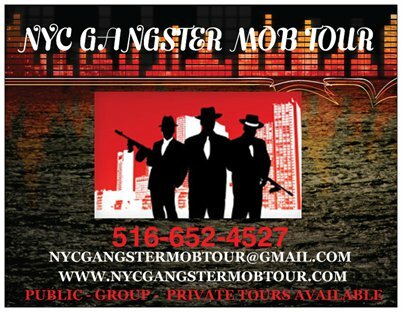 It wasn't until 1963 when Tough Tony died of natural causes and his son-in-law Anthony Scotto took control of the ILA local that Gambino was truly in control of the Brooklyn waterfront. A grateful Gambino inducted Scotto into the family immediately. Scotto quickly rose in business and eventually counted politicians as part of his circle. His credo was to instill "harmony" on the waterfront. The press dubbed him a "new breed labor leader." Scotto eventually attained the third-highest position in the labor union. 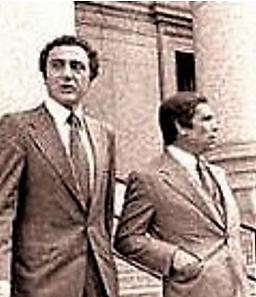 By the 1970s Scotto was considered to be one of the most powerful mafiosi in New York due to his political clout. He even enjoyed a friendship with U.S. Attorney General Robert Kennedy, a man most mobsters considered a mortal enemy. Another member of Gambino's hierarchy wasn't faring nearly as well a year or two later, however. In 1965, Gambino was not pleased with underboss Joe the Blond Biondo. Different theories have been highlighted as to what exactly was irking Gambino. One story was that Biondo was too deeply enmeshed in drug trafficking. But as happened with Anastasio, Gambino didn't actually have to take out Biondo; he died of natural causes on June 10, 1966. Dellacroce, finally, could move up in the hierarchy. Did Dellacroce Ever Challenge Gambino? This brings us back to the crux if why I even started this series of stories about Dellacroce. What do we make of the Joint Legislative Committee on Crime's allegations? These allegations ran in newspapers, including the New York Times, and even now this information appears on some mob-news websites. Edward J. McLaughlin, the committee counsel, called Dellacroce "a conniver plotting against Gambino." Searching its archives, a follow-up report in the New York Times seems to, finally, put those allegations into proper perspective. In a March 1970 story, titled Gambino Is Called Heir to Genovese As ‘Boss of Bosses’, it clearly notes that McLaughlin had used the committee to voice a lot of accusations. Anonymous law enforcement officials somehow, someway, felt compelled to clarify the record. "Other official investigators say that Dellacroce is completely loyal to Gambino and that Gambino knows this." "The insinuations of disloyalty made against Dellacroce were described by law‐enforcement officials as being the legislative committee's way of taunting Dellacroce, who had refused to answer questions, in the hope that he might be angered enough to make a denial, which would open the door to more productive questions and answers..."
Then, almost as if they were giving Dellacroce and Gambino the slightest tip of the hat, they made the crowning declaration that, as of March 1970, "affairs within the Gambino family are more stable than in any of the five other local families." Dellacroce and Gambino, ultimately made a good team. And Dellacroce (whose inner story is unknown -- the man didn't keep a diary or anything -- and he wasn't caught on wiretap discussing his life), in the end was a loyal man but also a practical one. If Castellano had perhaps been as practical the story of the Gambinos today might be very different.